At Ryder, we believe in investing in our people and the future of the commercial transportation industry. Read about our Trainee HGV Technician Apprenticeship below. 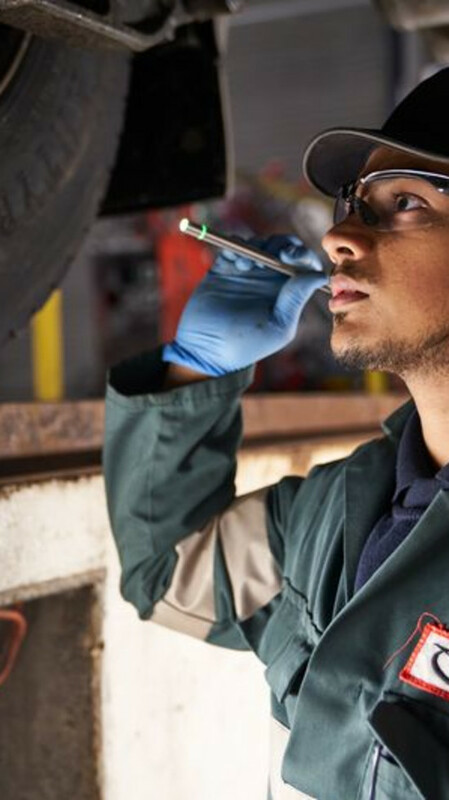 Undertake the IMI Certificate in Heavy Vehicle Maintenance and Repair and develop into a fully qualified HGV Motor Vehicle Technician. Assist fully qualified Technicians in the preventative maintenance and repair of the Ryder commercial vehicle fleet. Work as part of the team to ensure that the workshop operates effectively. Assist in preventative maintenance duties with the supervision of a trained technician. Assist in identifying the requirement for replacement parts. Develop an understanding of all documentation in the Ryder Workshop. Attend Stephenson College four times a year and successfully complete the HGV course. Develop an NVQ portfolio within the Ryder workshop by carrying out required duties. Work alongside an assigned buddy in the workshop at all times. Follow all Health and Safety processes and procedures at all times and without exception. Ensure a thorough understanding of all Company Safe Systems of Work and always adhere to them within the workshop or mobile operations. Maintain exceptional housekeeping standards within the workplace at all times. Ensure appropriate use of personal protective equipment (PPE) at all times and without exception. Report defective PPE immediately. Build rapport, develop trust and respect from both internal and external customers. Work safely with the correct use of tools and equipment. Have a working knowledge of vehicle systems. Be able to assist with basic maintenance. Be able to carry out adjustments, maintenance and repairs and carry out basic fault diagnosis on Engine, Transmission, Chassis and electrics at the end of year carry out service, unaided. Be able to carry out fault diagnostics and repair Engine, Chassis, Transmission and electrics. In this role, you will report to the Workshop Manager of the location at which you are applying. You must hold four GCSEs at grade C and above, including English, Maths and Science. Work experience in vehicle repairs and maintenance would be an advantage but is not essential for you to apply. Application is currently closed, but will reopen in 2019.